Found deceased in the creek so I was able to get several pictures. I don't think this is Orconectes. Based on the carapace, rostrum and chelae, I'd say it's a species of Cambarus, probably diogenes or bartonii. Given the habitat (stream), I'd go with bartonii. But it's still a bit of guesswork IDing from photos. Looks like Orconectes, I'm not quite sure which species though. but I'm anxious to learn more about these. 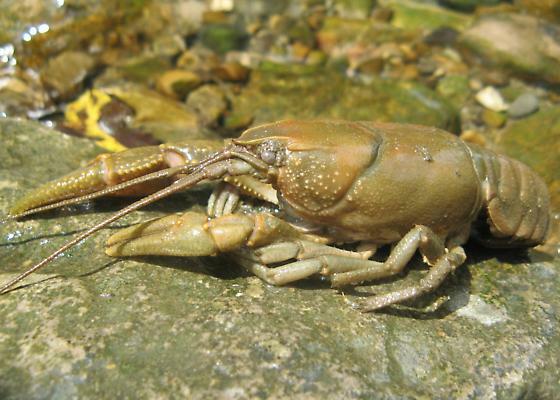 I figured it would be more likely to get noticed with the other Crayfish than in ID request.